• Manage food waste in the home and minimise trips to the outside dustbin. • 20% quieter than standard Model 45. • Built-in air switch in chrome and brushed steel. • 4 year parts and labour guarantee. • Stainless steel grind elements. 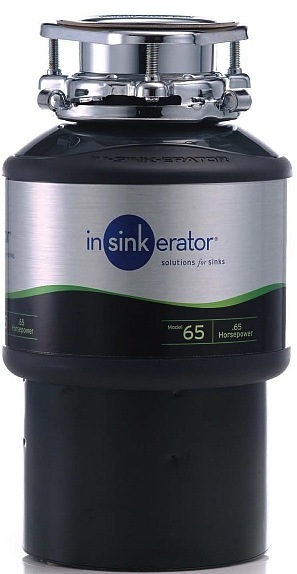 Food waste disposer(s) shall be InSinkErator® Model 65 with 1-stage grind technology, .65 hp motor, auto-reverse grind system, stainless steel grind elements and built-in air switch with chrome and brushed steel options. Warranty: 4 year parts and service.